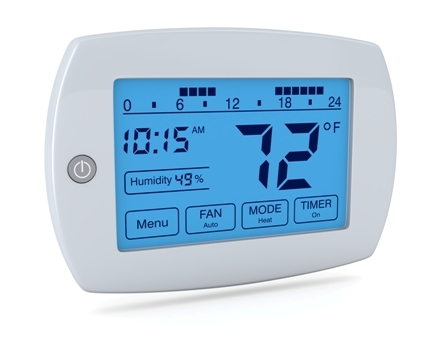 Programmable thermostats work similarly to the older manual models. The internal microchip determines the current indoor temperature, then controls the heating and cooling system to adjust to your desired temperature. It does this by sending start or stop signals to your HVAC system to keep the indoor temperature regulated. Automatically keeping your home comfortable while you relax. One of the best features of the programmable thermostat is its ability to cut down on your energy costs. 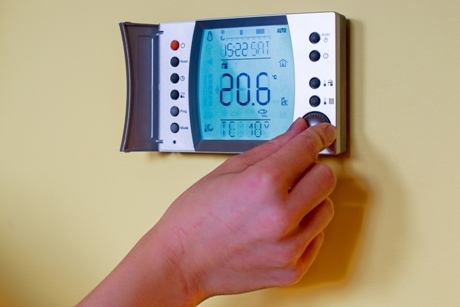 During times when you aren’t home, you can program the thermostat to kick on the HVAC system less frequently. Many programmable thermostats are certified by the government for their energy saving features. Increased accuracy for the indoor temperature consistency. Displays the actual current temperature indoors and some will also show the outdoor temperature as well. Nighttime settings feature to increase or decrease the temperature overnight. LCD or LED display featuring a 24-hour clock – this is handy as most will illuminate for better visibility in low light. A reminder of when it’s time to change your air filter. Some feature the ability to schedule for a week at a time, or separate programming for holidays. Diagnostics functions if the system detects any problems. Some are voice-controllable to adjust settings. Some programmable thermostats go a step further and are WiFi enabled and are controllable from your smartphone. The smart thermostats are designed to match the style of your home and your personal preferences. The come in a variety of designs, you can even change the color of the display. Thermostats should always be located in a room with good air flow, and away from heating and cooling vents, or any appliances that put off heat. It should also be out of direct sunlight. Direct sunlight can affect the accuracy and functioning of your heating and cooling system. Installation near doorways or windows can also give an inaccurate reading of the indoor temperature. Another method to save energy is having multiple zones in the home, such as having bedrooms or other lesser used rooms on a separate system. 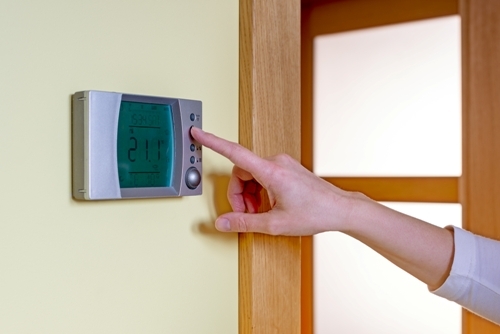 Each zone having its own programmable thermostat can provide further energy cost savings. Contact us today at 519-686-1587 to learn more about programmable thermostats for your home.